Boar and nylon bristles for ultimate grooming. 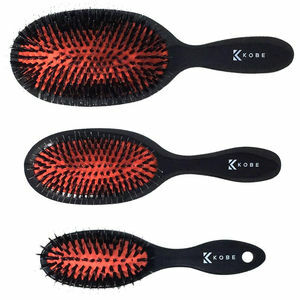 The Kobe 80-Series brushes combine the high-shine grooming of boar bristles with the detangling action of nylon, thanks to their dual bristle design. They're ideal for smoothing and straightening hair. 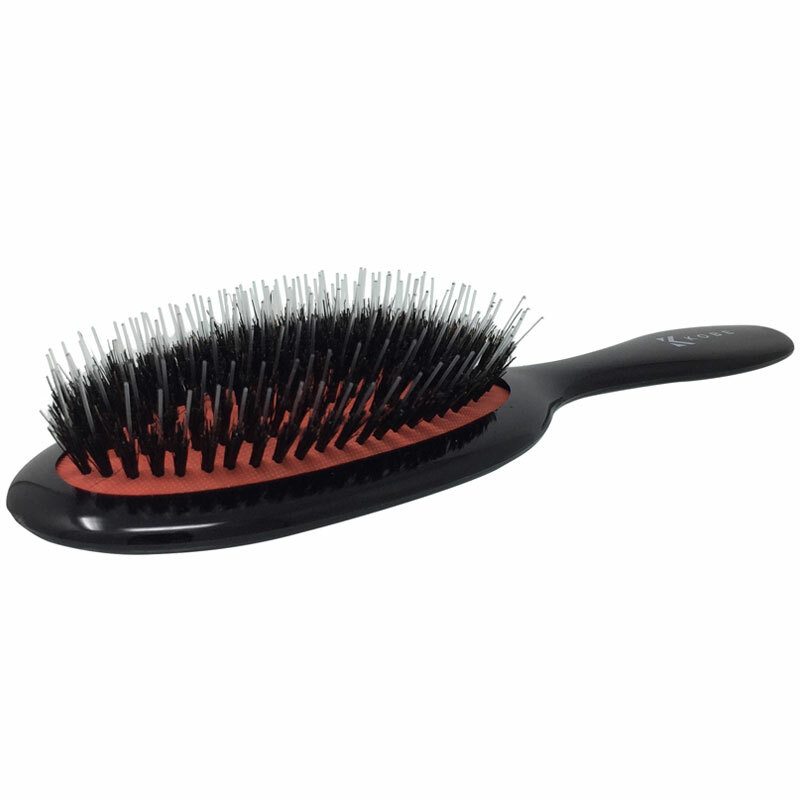 The longer nylon bristles comb through the hair helping to remove kinks and tangles. Meanwhile the shorter boar bristles grip the surface of the hair and use its natural oils to polish it to a high shine. 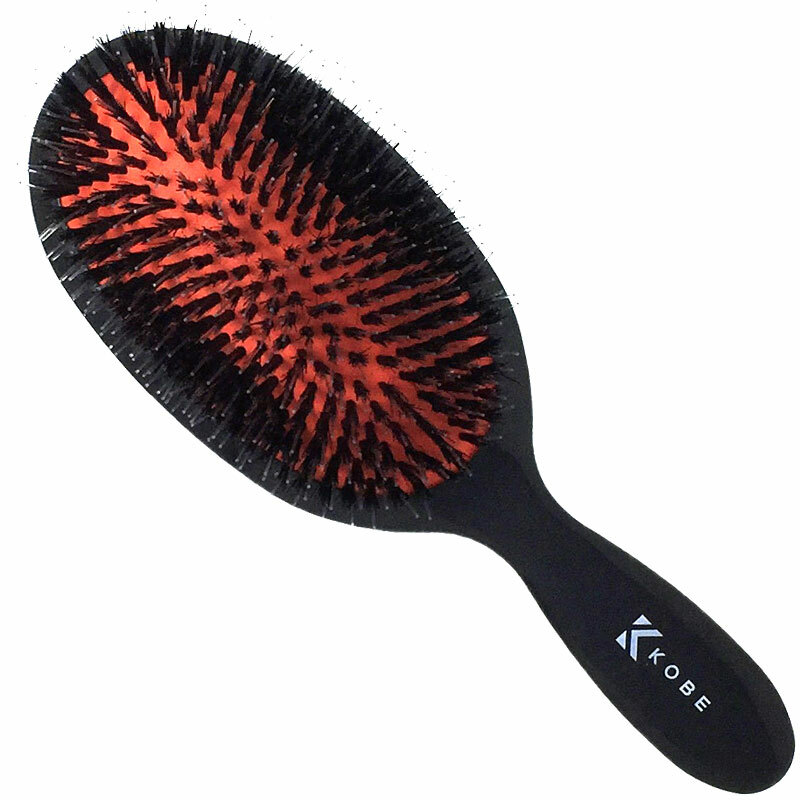 K80 Small—7 rows of bristles; 18 cm long x 5 cm wide. 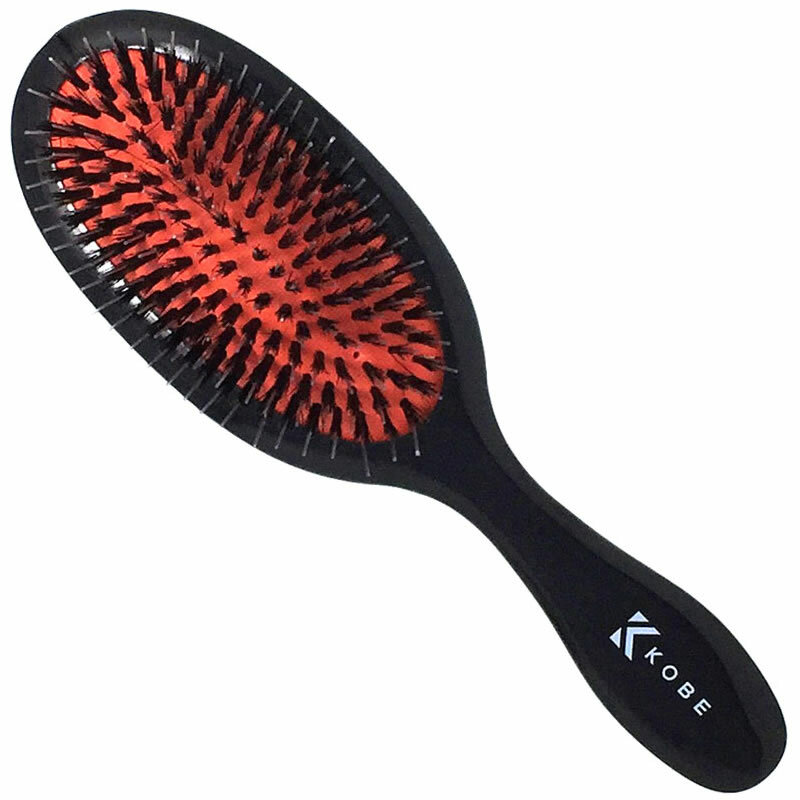 K81 Medium—9 rows of bristles; 21.5 cm long x 6.5 cm wide. 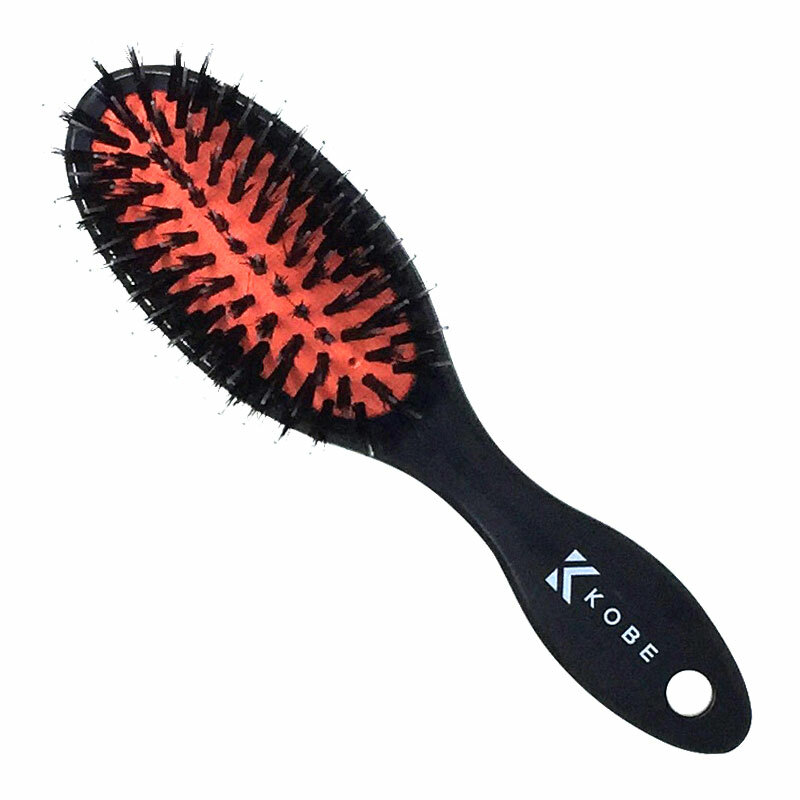 K82 Large—14 rows of bristles; 23 cm long x 8 cm wide. Save money when you buy as a set of 3! £3.59 (inc. VAT) Why no VAT? We're a trade wholesaler and quote our prices without VAT to help our VAT-registered customers understand the true cost of a purchase.